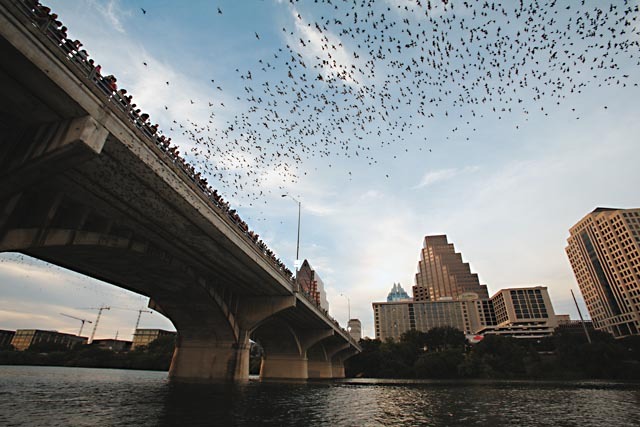 From spring until October, the Congress Avenue bridge in downtown Austin is home to about 750,000 Mexican free-tailed bats, with that population doubling to 1,500,000 once the pregnant females give birth. Each night around sunset, the bats will leave the bridge, heading out to feast on 10,000 to 30,000 pounds of insects. That is hell of a lot of bugs. These guys - everyone of them - deserve a tiny gold medal from the city of Austin for their contribution to reducing the mosquito population. Everybody here at Pallasart agrees about that. Although the best place to view the cloud of black is from the bridge itself, there are a few other options available as well. 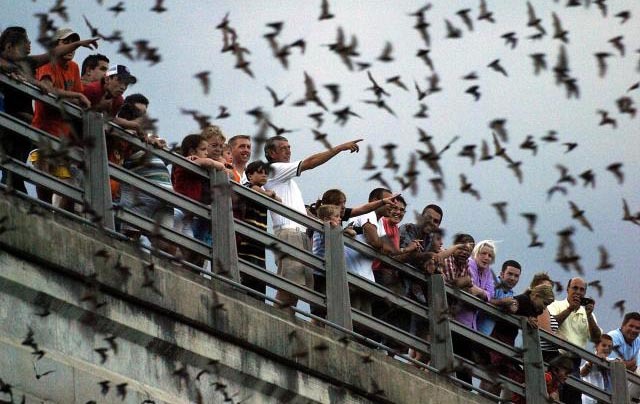 The Austin American-Statesman public viewing area on the southeast end of Congress Avenue, Cruises on Lady Bird Lake and watching the bats from the Trio Restaurant’s patio are also some ways to safely watch the bats. Austin bats are mostly Mexican free-tailed bats; they are also known as the Brazilian free-tailed bat and the Austonian bridge bat. According to Wikipedia, the bats are about nine centimeters long, and they weigh about 0.43 ounce – with their tail being about half their length. With wide ears, condensed muzzles, and elongated and narrow wings, you might recognize these bats from a bottle of Bacardi rum. Living in Mexico and Southern Texas over the winter, the bats will mate and then the females will migrate to Austin in the spring. Once the bats give birth, they will nurse their young daily – the young pups will grow and become fully independent by four to seven weeks. As we have already stated, bats are an excellent mosquito deterrent - well, really they are mosquito eating machines, and these little devils are their prime source of meal. If you would like to tempt some bats to live at your home, you might think about creating a bat house. Made out of wood and painted at the top with black paint (so the bats can choose which temperature they like), these homes are fairly easy to make. However, building a bat house isn’t a guarantee that you’ll end up with a bat colony – as they are extremely selective. They are true Austinites in that regard - we human citizens can be very picky in where we choose to bed down, too. Bats have been long associated with vampires; the fact of the matter is that only three of one thousand specifies of bats actually drink blood. One feeds on livestock, the other feeds on birds. Another popular myth is that bats are blind – completely untrue. Bats can actually see extremely well, according to Merlin Tuttle, founder and president of Bat Conservation International. So you can drop "blind as a bat" from your vocabulary! 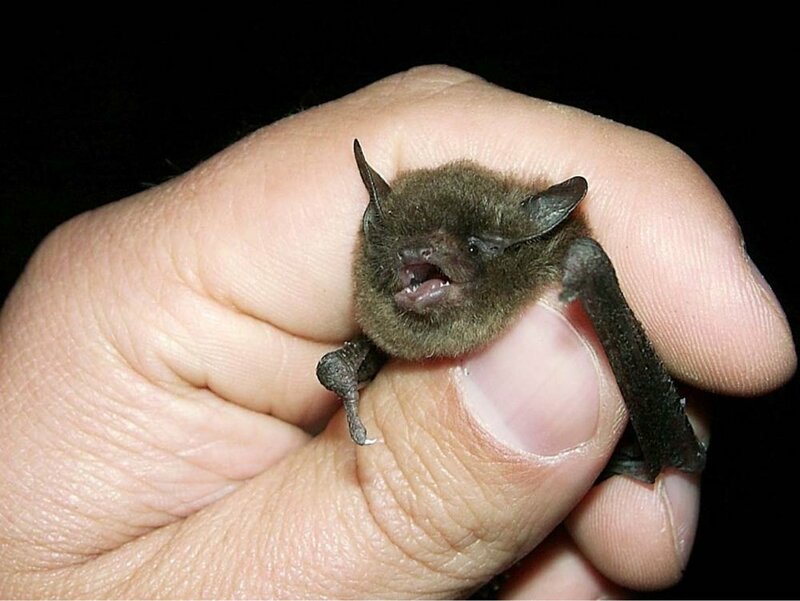 Like other mammals, bats can carry rabies. It is estimated that one half of one percent of bats may contract rabies. You should never pick up a bat from the ground or touch a bat with unprotected hands. Infected bats often fall to the ground when they become too sick to fly. Animal control should be called to dispose of any bat on the ground. Any person touching a downed bat should seek immediate medical attention, as rabies is considered incurable after the onset of symptoms.